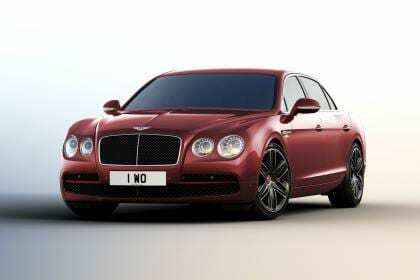 Bentley has announced a new ‘Beluga’ special edition of its Flying Spur saloon. It adds another layer of luxury to the already luxurious saloon thanks to a raft of styling and trim tweaks inside and out, and is available to order now exclusively with the 4.0-litre twin-turbo V8. The Beluga moniker is a nod to the firm’s traditional ‘Beluga black’ colour scheme rather than any reference to a famous brand of caviar. Subtle black detailing is added to the radiator grille, and the car receives unique ‘Black and Bright’ 20-inch machined alloy wheels. Ticking the options list box marked the Mulliner Driving Specification brings along 21-inch ‘Extrovert’ alloy wheels. Inside, the Bentley Flying Spur’s already special cabin is given a lift with piano black wood veneer, contrasting stitching on the leather seats and wheel, deep pile floor mats and leather binding in the boot carpet. It also gets the same upgrades as the standard 2015 Flying Spur range, including onboard WiFi connectivity for the first time. The powertrain remains unchanged, with the forced-induction V8 producing 500bhp and powering the Flying Spur from 0-62mph in 4.9 seconds. Deliveries of the Beluga edition will be made to buyers in the autumn.